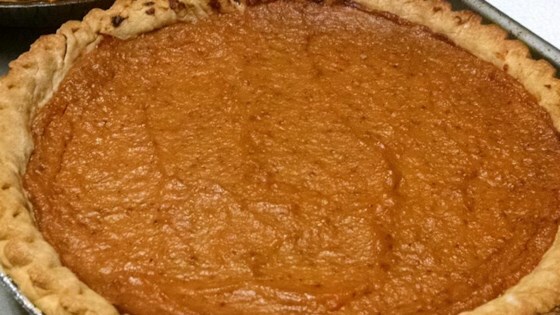 "Here in the South, sweet potato pie is a staple among many despite 100's of variations. This is the recipe that both my mom and grandma have used for years. Even my picky husband marks this as his favorite pie!" Preheat oven to 350 degrees F (175 degrees C). Press the pie pastries into two 9-inch pie dishes. Place sweet potatoes into a large pot and cover with water; bring to a boil, reduce heat to medium-low, and simmer until tender, 15 to 20 minutes. Drain potatoes and let cool. Beat potatoes, sugar, eggs, milk, margarine, vanilla extract, lemon extract, cloves, and allspice together in a bowl until smooth; pour into the prepared crusts. Bake in the preheated oven until pies are set in the middle, 40 to 60 minutes. It was delicious and yes I am definitely preparing it again.